New Favorite Fantasy Novel Book! 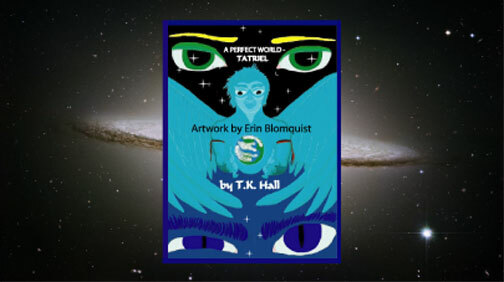 "A Perfect World-Tatriel" tells a compelling story blending Fantasy and Sci Fi into a believable real story! Purchase it here and receive a signed copy. There are final drawings of female art beings included in the novel, a fest of flying sci fi cars, ships, moto bikes, and dragons soar throughout. It's a blend of Harry Potter, Star Wars, & Lord of the Rings, yet stands on its own as bringing the two worlds of fantasy and science fiction together. A new fantasy novel with mystery, adventure, humor, an original piece of literature that takes you where you've never been before! If you're a Producer, Publisher, or Agent, you'll want to get ahold of T.K. Hall and take this to the top!